Transports for London have been awarded two new routes for the fully electric single-decker buses. The two new routes awarded are the 507 and 521 which will be fully operated by the electric buses starting in August next year. A 5 year contract to operate the routes has been given to Go Ahead following a competitive tender process. 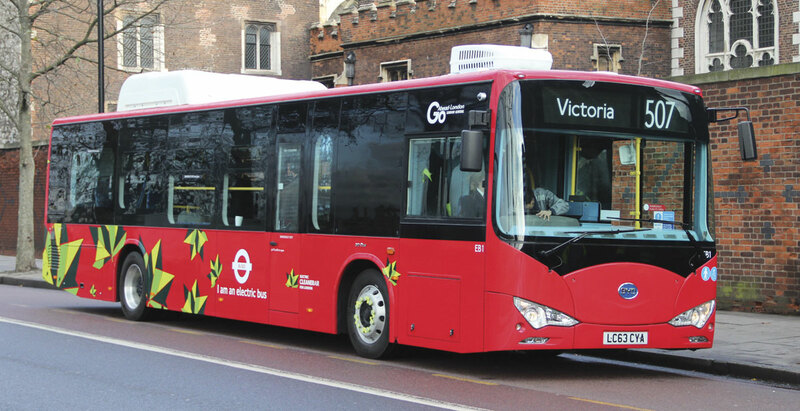 This will mean that 51 electric buses will operate across the two routes that will become the second and third completely electric bus routes in London. By 2020 all 300 single-decker buses operating in central London will be zero emissions and all 3,000 double-decker buses will be hybrid. When the electric buses have been fully converted, on routes 507 and 521 there will be a reduction of 408 tonnes of CO2 and 10 tonnes of NOx per year, when compared to single-decker diesel buses. They are emission-free at tailpipe and will provide passengers with an improved experience with lower noise and vibrations. 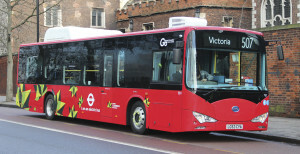 A further six electric single-decker buses, manufactured in the UK by Optare, are already in the Transport for London fleet. Four of them operate on route H98 in west London and two serve route 312 in south London which later this year will become the Capital’s first all-electric bus route. 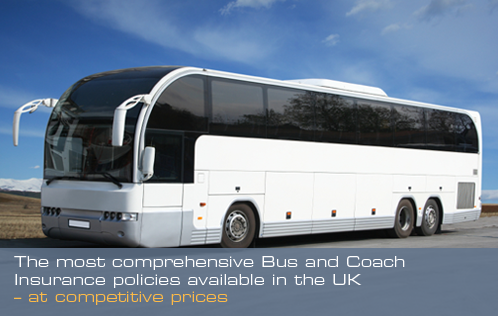 busandcoachinsurance.net offer very competitive bus and coach insurance prices. For a quick quote call our specialist team today on 0800 980 3425.